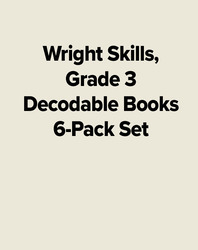 The Wright Skills program is a comprehensive skills program that explicitly and sequentially addresses three of the five key components found in the National Reading Panel report as well as the Put Reading First summary; phonemic awareness, phonics, and vocabulary development, with fluency and comprehension development occurring as a result of automaticity in decoding. The Wright Skills program also addresses spelling and writing, oral language development, print awareness, and alphabet knowledge. According to the National Early Literacy Report (2004), these areas are most closely linked to later achievement in literacy.